“Putin’s Russia,” as ABC News reports today, would have featured the Russian President hunting, fishing, and generally being a very macho man outdoors. Yes. Really. The show was pitched by the American television network to Putin's team as 'non-political.' A copy of one of the pieces of Outdoor Channel correspondence is embedded below. Emails obtained by ABC News show how Maria Butina worked to organize a summit that brought top NRA officials and elite Russian power brokers together in Moscow, in December, 2015. The delegation of Americans who traveled to Moscow with Butina reportedly included NRA board member Pete Brownell, Trump campaign surrogate 'Sheriff' David Clarke, major NRA benefactor Dr. Arnold Goldschlager and daughter Hilary, NRA fundraiser Joe Gregory, former NRA president David Keene and Outdoor Channel CEO Jim Liberatore. The group is said to have met with Butina, her accused spy handler Alexander Torshin, the Deputy Governor of the Russian Central Bank who was sanctioned by the U.S. Treasury in 2018, and Dmitry Rogozin, who was at the time Russia's Deputy Prime Minister, and who was sanctioned by the U.S. Treasury in 2014. Dozens of pages of email correspondence between August 2015 and November 2016, obtained exclusively by ABC News, reveal Butina’s hand in a pair of potentially explosive projects: appearing to arrange a meeting for a delegation of high-ranking members of the National Rifle Association with Russian Foreign Minister Sergey Lavrov, and working with the Outdoor Channel to develop a television show highlighting Putin’s “love of the outdoors” that would feature the Russian President himself. In one exchange, a pair of NRA insiders discuss their upcoming trip to Russia and appear to copy and paste a previous note from the trip’s organizer Butina — describing the note as “In Maria’s own words” — that makes explicit reference to Lavrov, one of Putin’s closest advisers. And in another exchange between Butina and a senior executive at the Outdoor Channel, Butina claimed her “contacts directly within the President’s office” were “VERY happy (and excited)” about the proposed program and its political potential. Outdoor Channel CEO Jim Liberatore's name is all over this story. 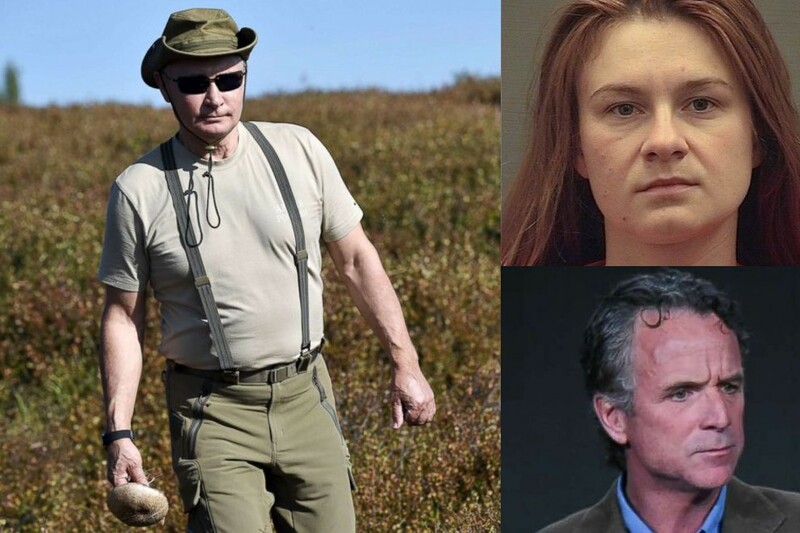 Jim Liberatore, the president and chief executive officer of the Outdoor Channel, was seeking to develop a show about President Putin’s outdoorsmanship as early as August 2015, when former NRA president Keene wrote an email to Butina introducing Liberatore as a potential addition to their Moscow trip. Butina replied to Keene’s wife Donna the following month.